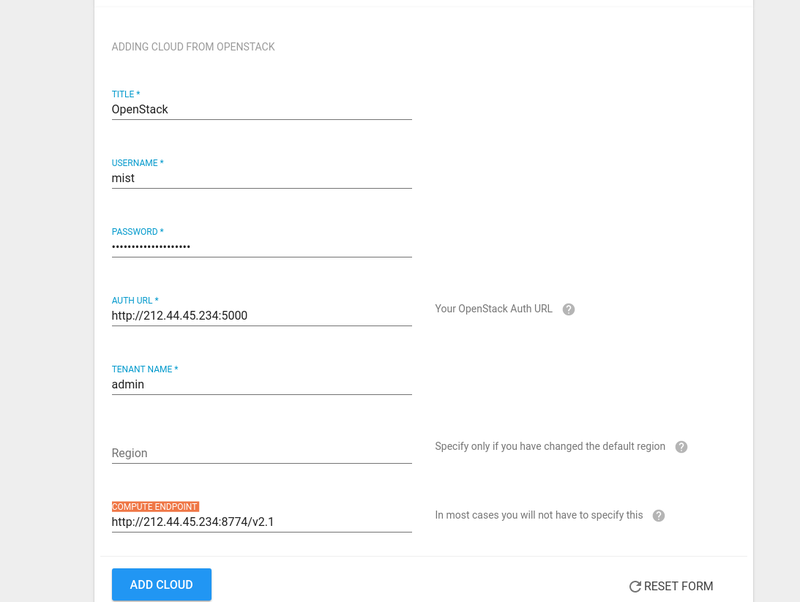 The first thing you should do is click " Add cloud" and select "OpenStack" from the providers' list. Once you click on Add, Mist.io will try to authenticate with OpenStack. If all goes well, you should see a list of your VMs in the Machines section.